A song for my grandson, A Christmas Gift. After purchase please check your e-mail for your download. 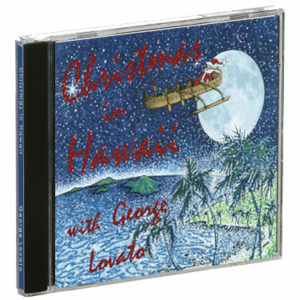 A song for my wife; we met on Maui, Christmas Eve. Santa flying through the night sky in an outrigger canoe. Just let your mind go somewhere, like that sandy beach by the sea. Everyone knew, they were a part of you. Hand in hand at the drive-in show. She said goodbye, turned and walked away from me. A child is born, it is the first Christmas. New Music from George - Take a taste!